The ninth Strait Forum started Saturday in east China's Fujian Province to boost grassroots exchange between the Chinese mainland and Taiwan.Full Story. Top political advisor Yu Zhengsheng has stressed adherence to the 1992 Consensus and opposing "Taiwan independence" as the key to ensuring the peaceful development of cross-strait relations. Full Story. Top political advisor Yu Zhengsheng Sunday said the Chinese mainland remains committed to promoting people-to-people exchanges, and economic and social development across the Taiwan Strait for the benefit of compatriots despite new risks and challenges. Full Story. 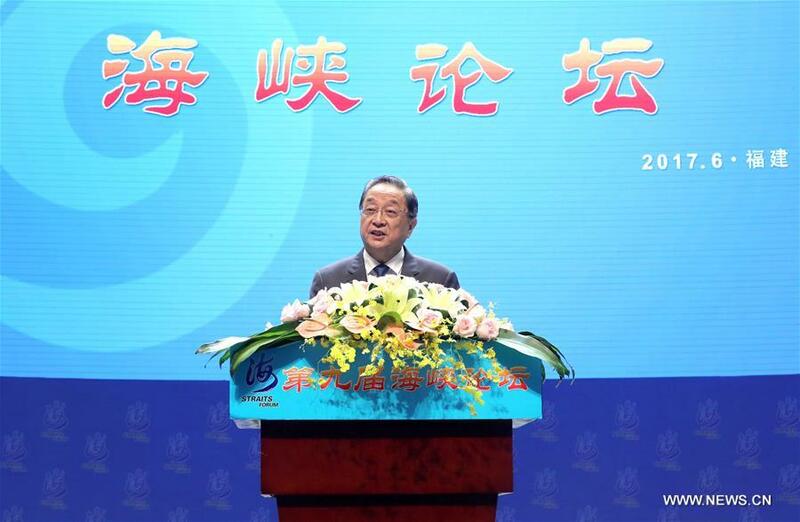 Yu, chairman of the National Committee of the Chinese People's Political Consultative Conference, made the remarks when addressing the 9th Straits Forum held in Xiamen, Fujian Province. Full Story. Zhang Zhijun, head of the Taiwan Work Office of the Communist Party of China (CPC) Central Committee, on Thursday stressed cross-Strait communication based on the 1992 Consensus. Full Story. Hung Hsiu-chu, chairperson of the Taiwan-based Kuomintang (KMT) party, said that peace and cooperation across the Taiwan Strait are goals that must be pursued in the current stage.Full Story. Dressed in red costumes, 50 cross-Strait couples shared a traditional wedding ceremony over the weekend in east China's Fujian Province. Full Story.